STARKVILLE, Miss. -- Mississippi is having a breakout of tiny beetles that use pheromones to gather sufficient numbers of reinforcements to overwhelm healthy trees. Current Mississippi Forestry Commission flyovers indicate nearly 5,000 separate Southern pine bark beetle outbreaks across the state. Outbreaks can range from just a few trees to more than an acre of infested and dying pines. Outbreaks are especially bad on national forestland, but homeowners and private landowners are also experiencing the problem. Thomas Legiandenyi, Mississippi State University Extension Service agent in Oktibbeha County, said he has had at least 10 calls in the last year from owners of small tracts of land who are wondering what is wrong with their pine trees. Homeowners typically have small acreage and a limited number of trees, making it easier to monitor tree health. However, owners of large tracts of land can have a more difficult time managing the health of their trees. 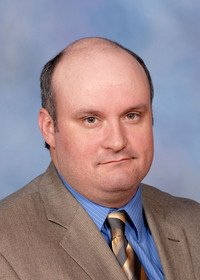 John Riggins, forest entomologist with the Mississippi Agricultural and Forestry Experiment Station, said Southern pine bark beetle populations can reach devastating numbers rapidly. Riggins said the state or region suffers outbreaks of Southern pine beetles every six to nine years. Recent outbreaks have been more sporadic. A minor outbreak in 2012 killed about 1,000 acres of pines, and a few smaller outbreaks hit through 2016. Timber had a $1.4 billion production value in Mississippi last year. Riggins said the last major statewide Southern pine beetle outbreak was in 1995-1996. It resulted in more than 10,000 areas of infestation, which damaged $23 million of Mississippi timber. The previous outbreak in 1985-1987 resulted in more than $84 million in damages. A Southern pine beetle infestation begins when as few as one or two trees begin to fade and the needles turn from green to yellow to red as they die. The foliage color change is the easiest way to detect the beetles. Up close, there are two other signs: little balls of resin that form the pitch tubes; and frass, which is a mixture of wood dust and beetle excrement. Southern pine beetles are not the only bark beetles that feed on pine trees, but they are the most dangerous because they can attack and kill healthy trees. Other beetles serve as the clean-up crew of the forest, helping thin out and decompose unhealthy and unproductive trees. To control an outbreak, remove infested trees along with healthy trees in a wide buffer around the infested zone. This buffer is typically as wide as the heights of one to two of the trees in the outbreak. Many sawmills will accept salvaged trees, as these beetles and the bluestain fungi they carry do not affect the quality or strength of the timber. The collapse of an infestation can come about by natural means. Disease and pathogen levels can build in an exploding beetle population. Woodpeckers and checkered clerid beetles are natural predators of the pest. “Landowners will experience far greater economic losses if they choose to let the outbreak run its natural course rather than employing active suppression measures,” Riggins said. 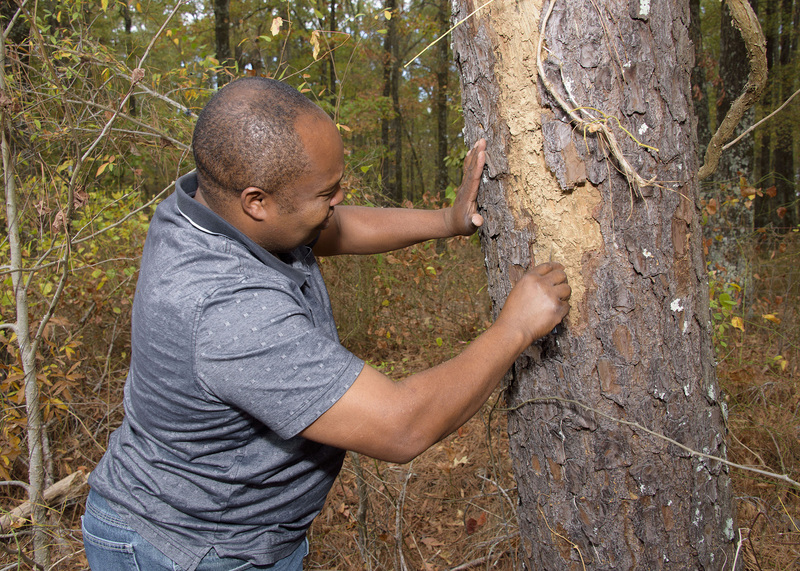 Prevention is the best way to manage a Southern pine beetle outbreak. Good management includes proper site and species selection, correct planting density and careful forestry operations, primarily appropriate thinning. “Southern pine beetles love stands that are overcrowded with lots of competition and can wipe them out quickly,” he said.  The MSU Extension Service has numerous publications that can help landowners maintain healthy forests and battle pests. 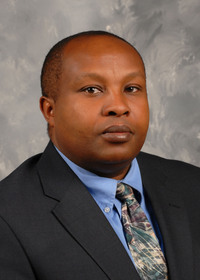 Discover available resources at http://extension.msstate.edu/publications.